First, half of the executive team goes, then the company identity vaporizes, as Forest City has now been absorbed by Brookfield, with the transaction closing yesterday. For nearly a century, Forest City has owned, developed and managed dynamic commercial, residential and mixed-use real estate in core markets across the United States. 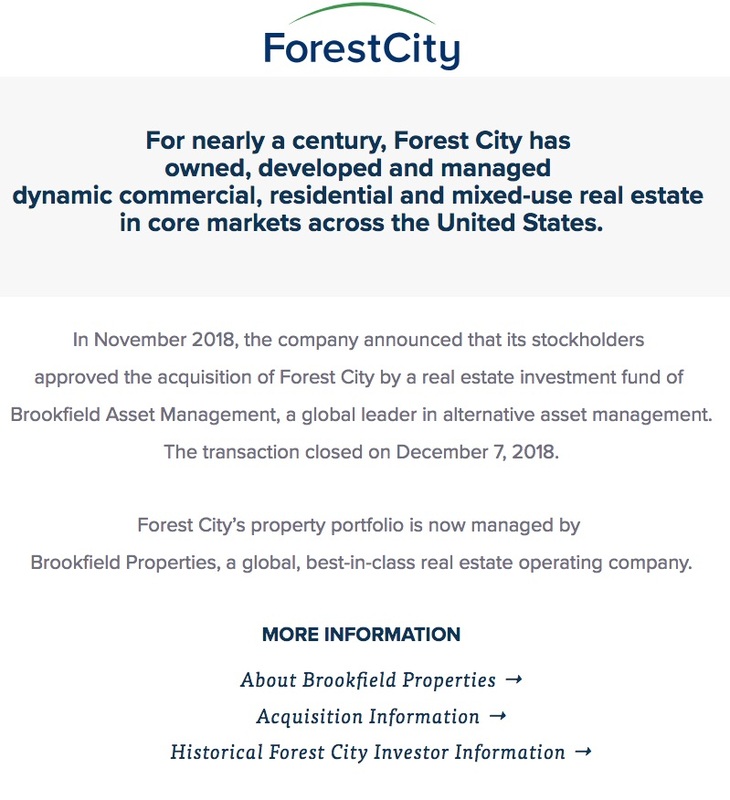 In November 2018, the company announced that its stockholders approved the acquisition of Forest City by a real estate investment fund of Brookfield Asset Management, a global leader in alternative asset management. The transaction closed on December 7, 2018. 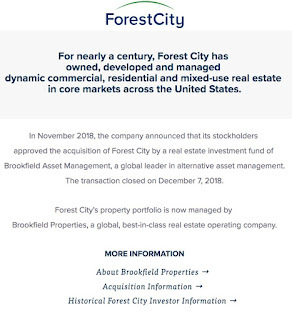 Forest City’s property portfolio is now managed by Brookfield Properties, a global, best-in-class real estate operating company. For the time being, at least, a search on Brookfield's web site for "Atlantic Yards" or "Pacific Park" comes up blank.